Our Divine Service is held Sunday at 10:00am in celebration of the Holy Eucharist. Sunday worship begins with a children's message, where all children are invited to the front of the church to participate. 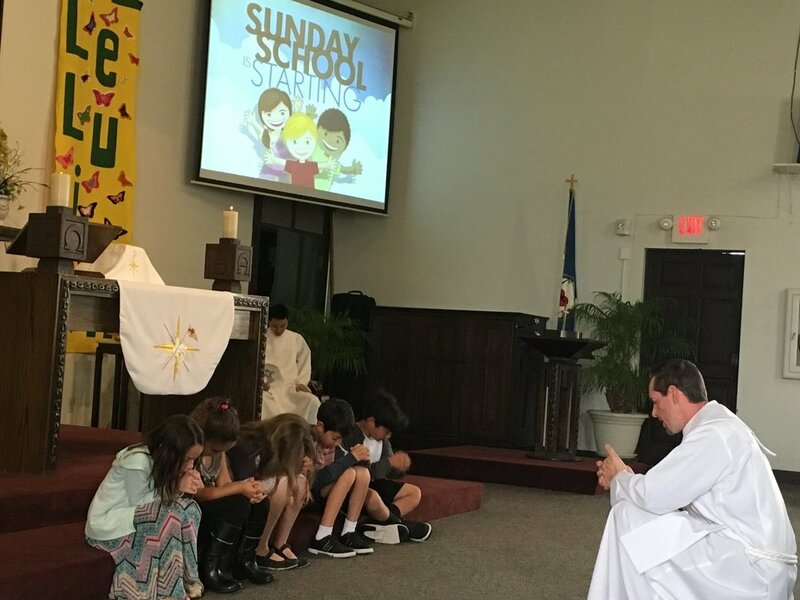 After the opening prayers, the children are dismissed for Sunday School to return to worship before the Holy Eucharist is celebrated. Christ the Cornerstone Lutheran Church, in San Diego CA is consecrated to Lift High the Cross. The Love of Christ Proclaim in blessed gospel and Holy Sacraments through our individual and shared redeemed living that our family, neighbors, and the world community adore His sacred name.